Here at MamaBreak we love items that make us feel better about ourselves as moms! We are always looking for reassurance and guidance, not on how to be a perfect mom, but to be the best moms we can be. 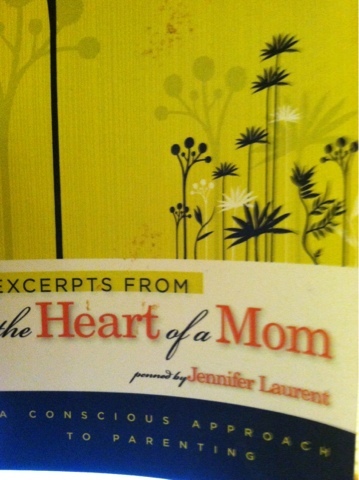 Exceprts from the Heart of a Mom is a collection of advice, short tips, to be a better mom. They are not things you do not already know, but things that we need reminding of. My favorite? "Sometimes it is all about you." Because Mamas, sometimes it IS. Sometimes it NEEDS to be. As a mom, I give and give and give. Sometimes, I need time and energy for ME. Just for ME. I know that, but reading it reassures me and reminds me to take a moment . . . a "mamabreak" for me. MamaBreak received a copy of the book to review here on MamaBreak. We did not receive any other sort of compensation. As always, our opinions and experiences are our own.